Setup Free WiFi calling: Many of you might be aware of wifi calling feature. This feature is been used by many app developers like WhatsApp for free wifi calling. It is a service through which users can easily make unlimited calls without any extra cost. Hence, it provides a good alternative to paid telecommunication services. Many network providers have started to offer free wifi calling services. There are some Mobile Virtual Network Providers offering these services without any extra cost. Do I need a Network provider for wifi calling? The answer is no. 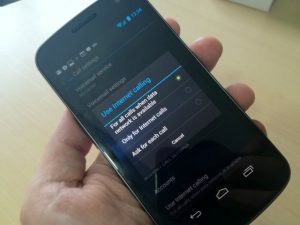 You can setup your android phone to make wifi calling. You will not need any network provider to do so. Such features are also available with Whatsapp, Skype etc. But with these apps, there are a lot of limitations. For example, both sender and receiver need to be on the same app to start communication. Hence, in this article, we will solve the problem of any third party interference in wifi calling. This can be done by accessing a feature of google called Google Voice. There is an app named Google voice made by Google. this app/feature let a user use Wifi to send or receive calls or messages. What is Wi-Fi calling and Google Voice ? 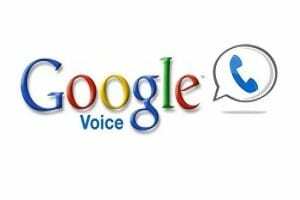 You can send or receive a call through Google Voice app. This is a Wi-Fi calling app made by google. You will have to nominate a number before accessing google voice so that you can receive free calls. 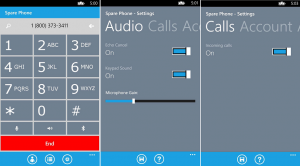 This app can also work without android Wi-Fi calling. And even without any cellular data plan. You can configure the SIP client of your Android phone with Google Voice. 1: First of all create your Google Voice account. This is a simple task. Just download Google Voice app on your device and register with your Gmail or google account. 2: You would also have to configure your SIP account. To do so, download Sipdroid on your phone. It will register you to an SIP network at Pbxes.org, which supports Google Voice. When you launch the Sipdroid app just click on the options that say ‘New PBX linked to my Google Voice’. Complete the rest setup and continue to the next step. 4: Now go to settings on your Android Phone. Go to Internet Call settings(It might be on Call settings). Here open an SIP account and add a new account. Save the account. This account will be listed under SIP accounts. Now you will have to turn on Receiving calls. 5: To turn on receiving calls check the box that says Receive Incoming Calls. Your Android device will get registered with Pbxes.org. If every step is followed properly your account will read “primary account.Receiving calls”. If not then check your Username and password. 6: Now you can configure your account for receiving or sending calls. You can save settings like “Receive all calls through The Internet”. Or you can save the option to ask before each call. 7: Disable all call forwarding options from your Google Voice app. 8: You can uninstall Sipdroid from your phone if you like. Since your Android can act as an SIP client. 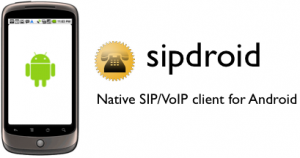 But if your Android phone is of older version then you will have to use Sipdroid as an SIP client. Hope you have made your first Wi-Fi call. If you are facing any other problems in setting up Wi-fi Calling feature then do comment below.